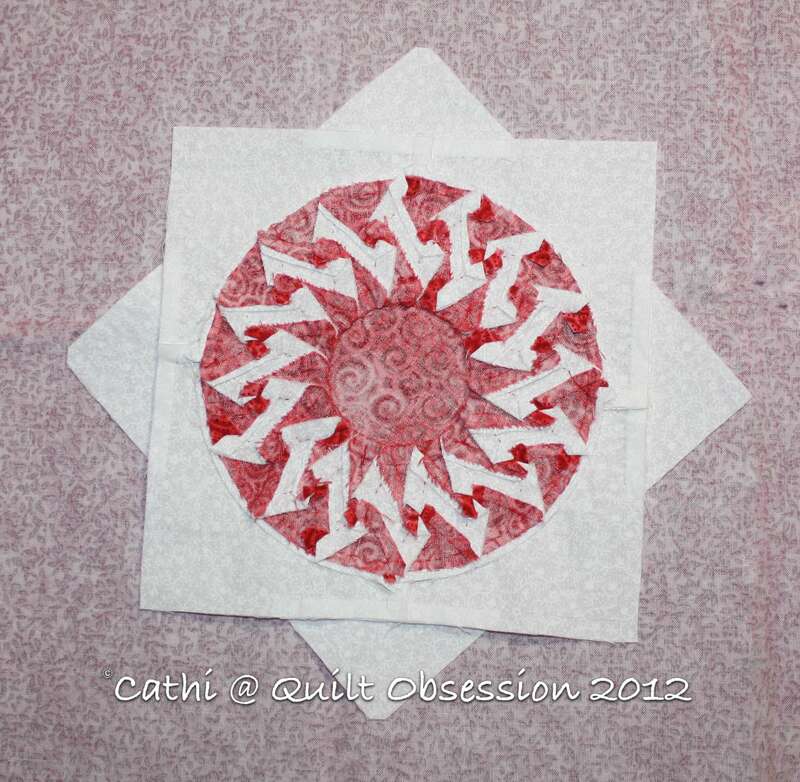 The centre of the last of the red and white Feathered Star/Sunflower blocks is ready. I’m getting very close to having the main body of the quilt done. The pieced border is going to take a bit of time, but I think once the centre is done and together it’s going to put this quilt right up at the top of the list to be worked on until it’s completed. The seams are graded and it’s pressed, ready to be put in the centre of that last block. 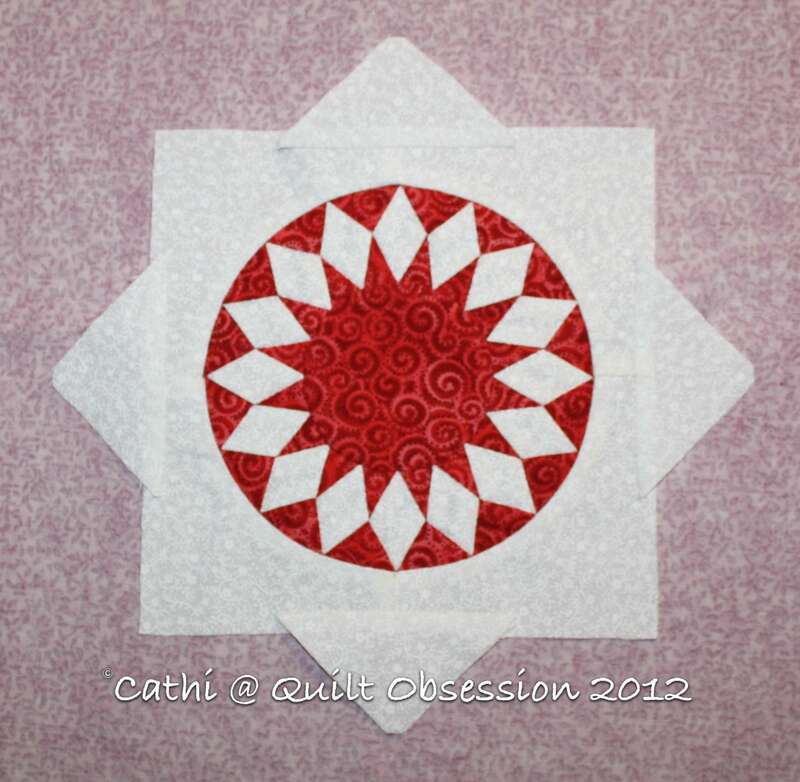 Two sides of the Scrappy Star now have the pieced border attached. I think I want to try to add those final two sides before I get started on the pieced border for the Feathered Star quilt, as I’d love to see the Scrappy Star top done and ready to baste. It’s getting a bit large to get a decent photo of inside but the weather is getting better every day, so a roof garden photo may not be that far off. 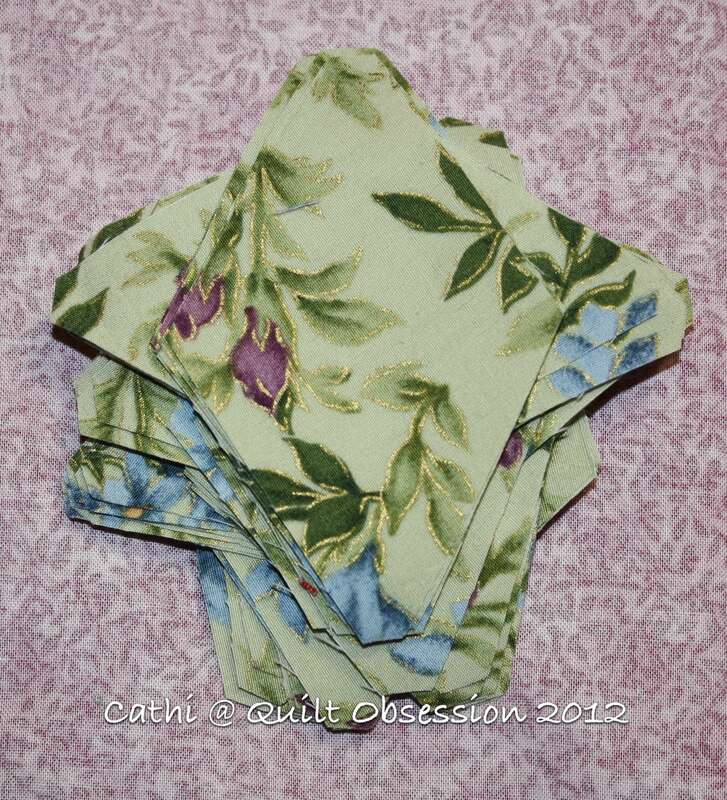 A few more sets for the Kaleidoscope Stars are ready to stitch. They’re a fun, quick stitch. I think I’ll end up with 20 of them and will then put them into a small top. Thanks for all the great comments on the orchids. I’m really hoping I can keep this plant alive and see it flower again. Baxter appears to love draping himself over the arm of the chair. Makes me laugh every time as he seems to be almost having a conversation with us. The red and white block takes first prize in my book! That will be awesome! 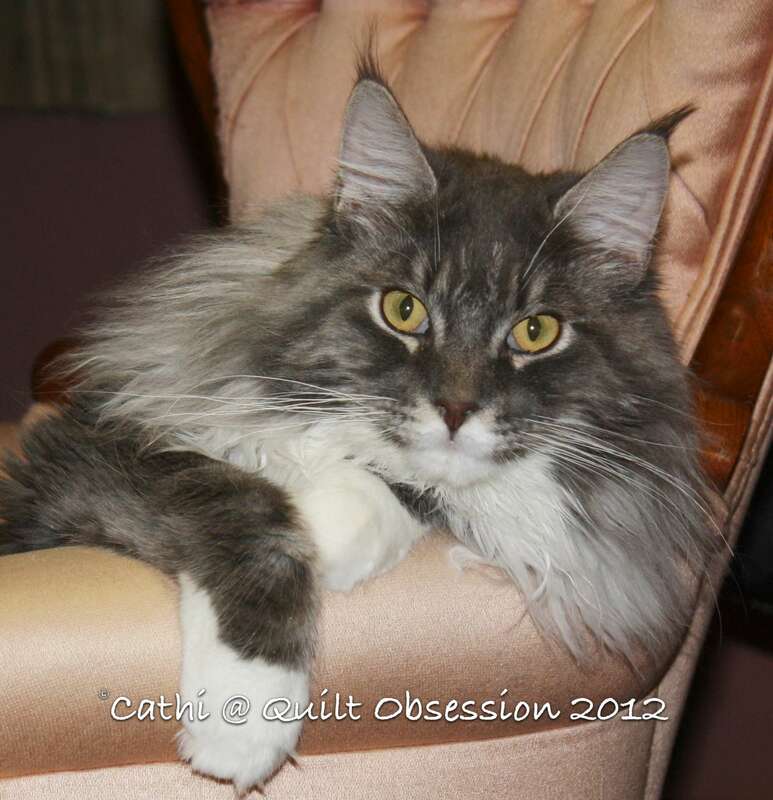 Baxter looks like he has claimed that chair as his and there is no way anyone else can sit in it! He needs a little red robe and slippers to complete the look! Beautiful block! Love the fabric too. I can’t wait to see all the feathered stars together! !